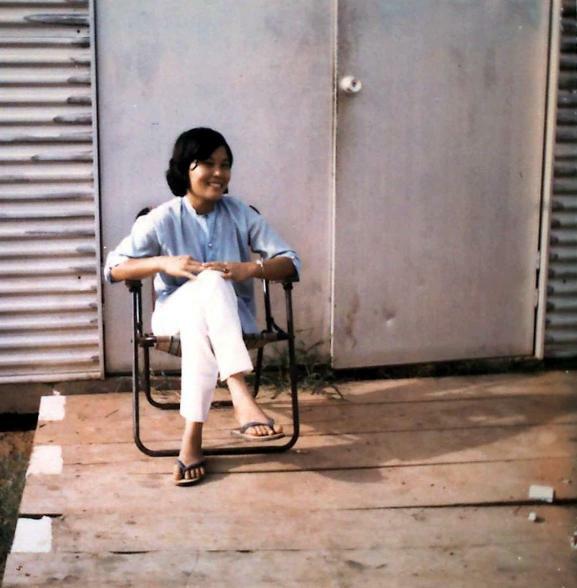 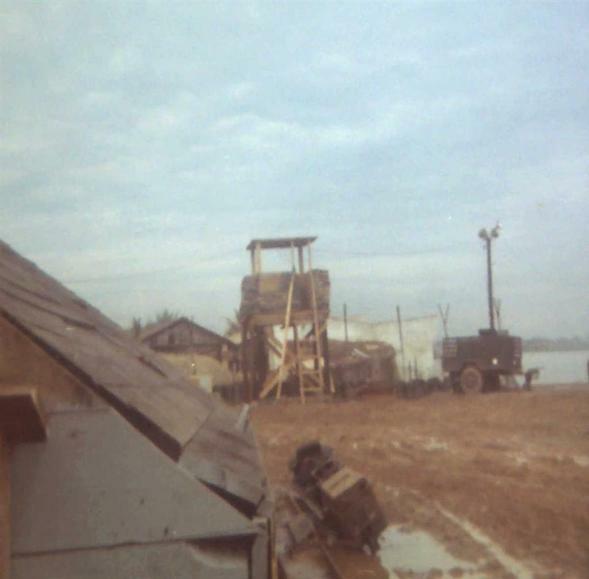 from May 1968 to August 1970. 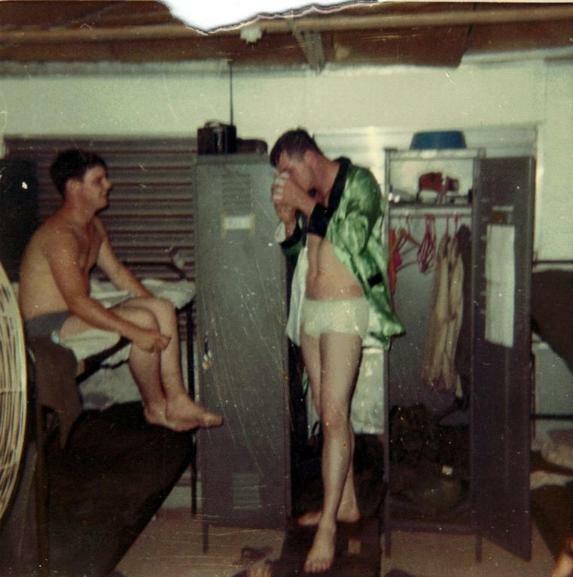 Is that SFC Fortenberry in this photo? 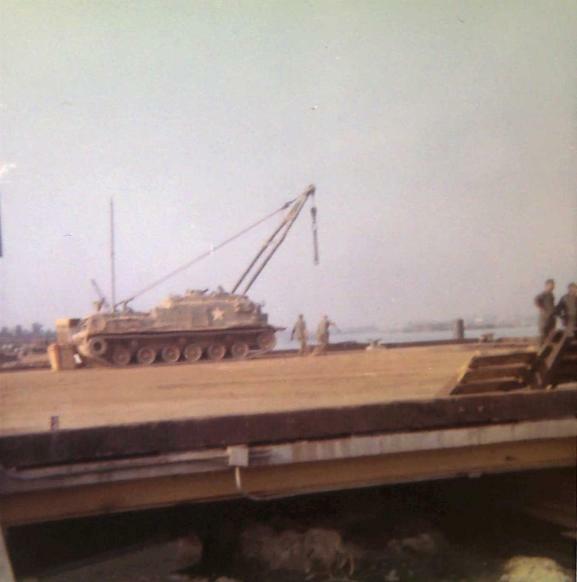 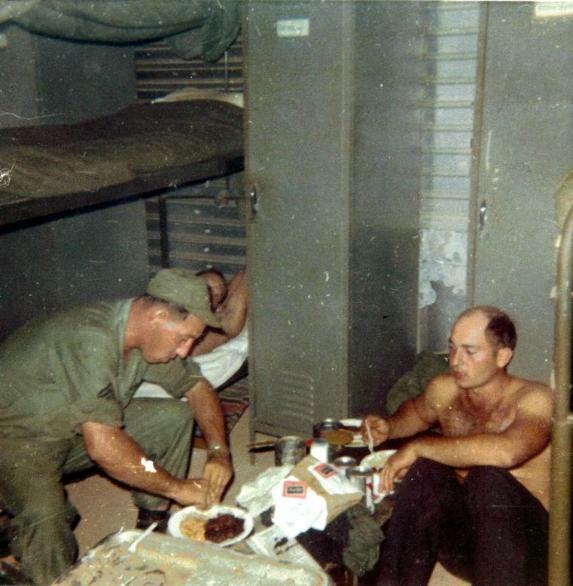 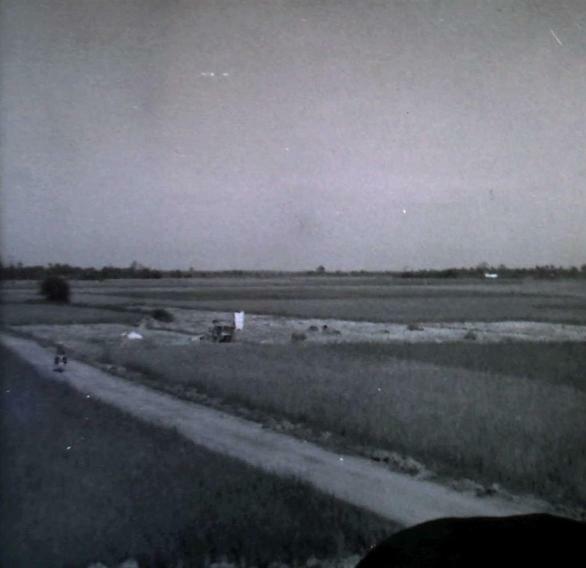 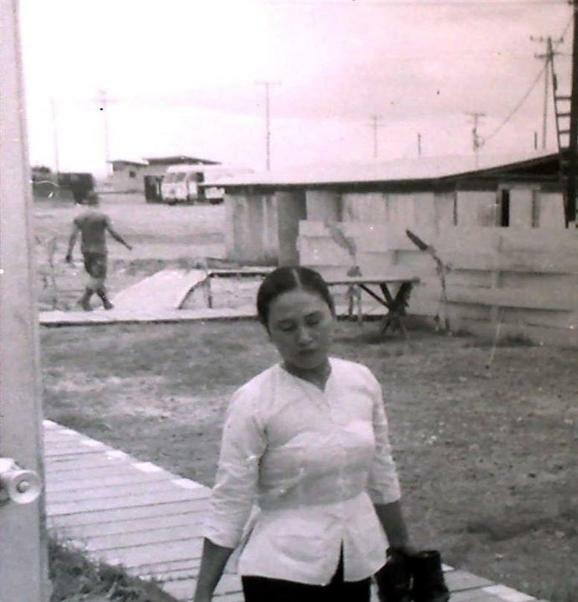 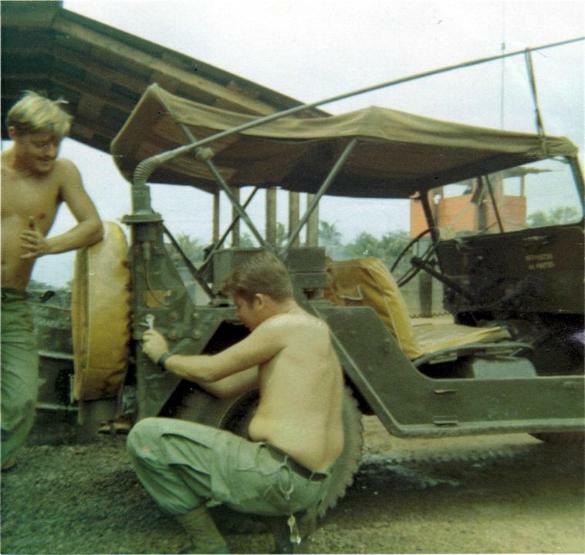 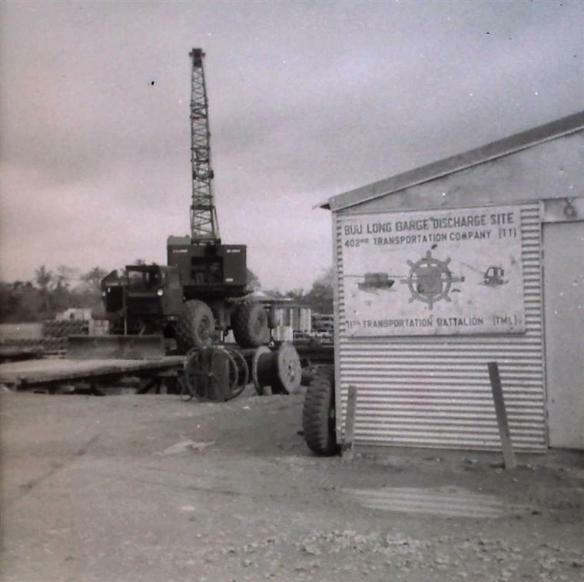 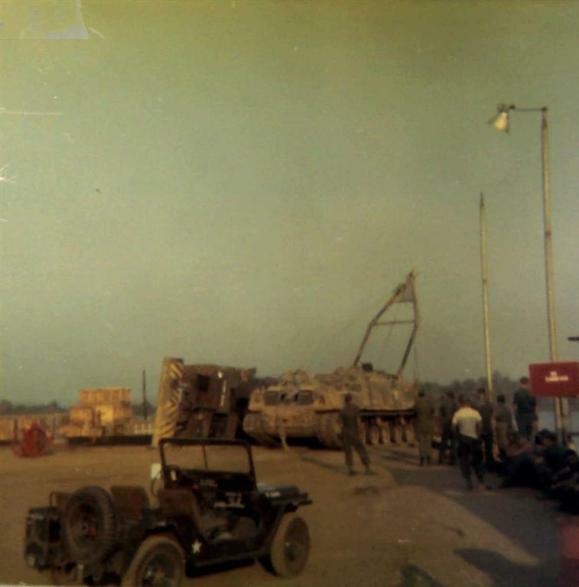 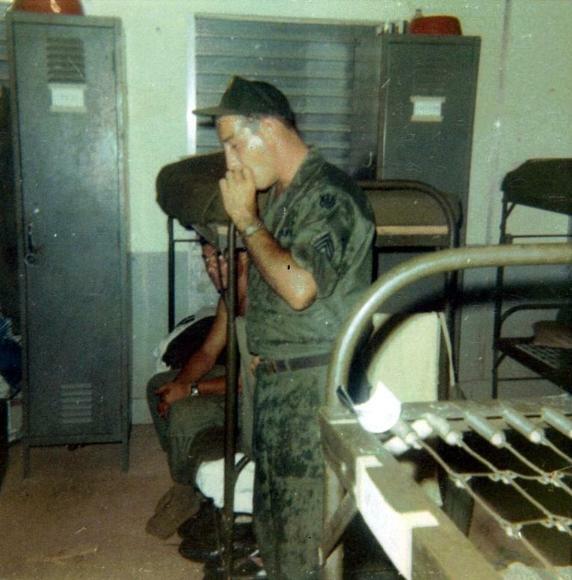 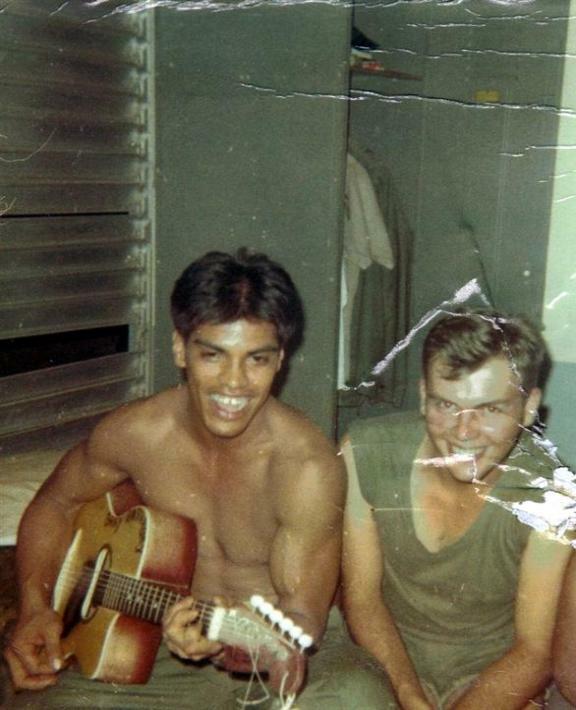 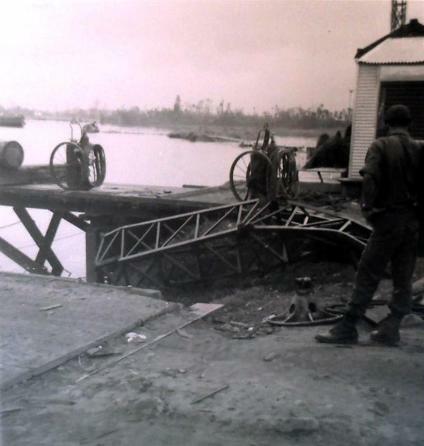 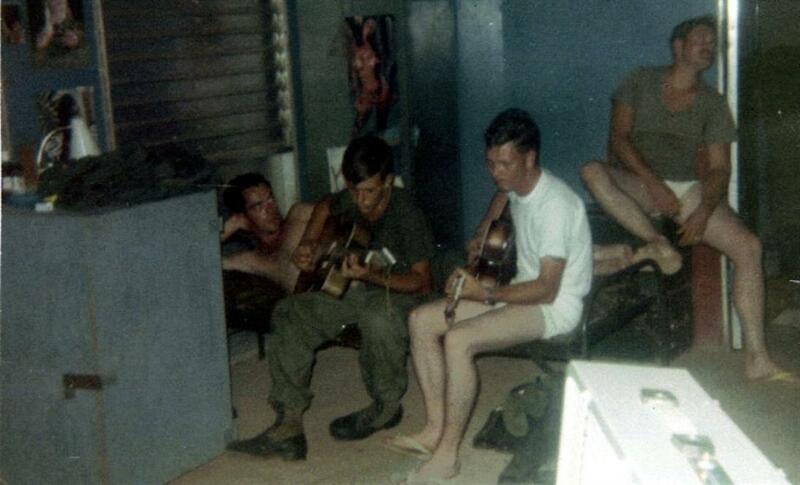 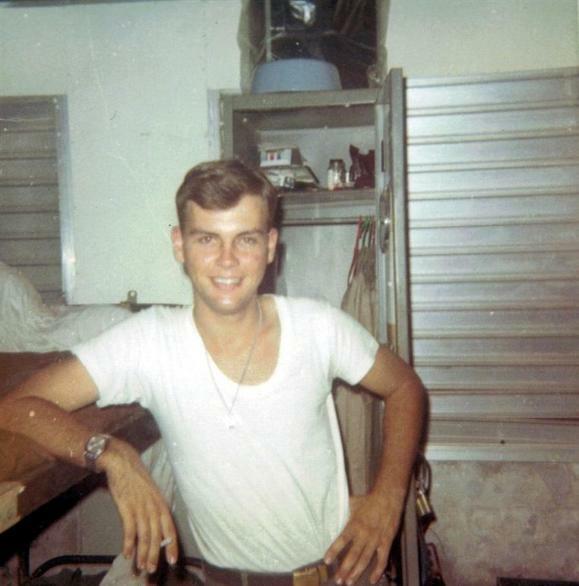 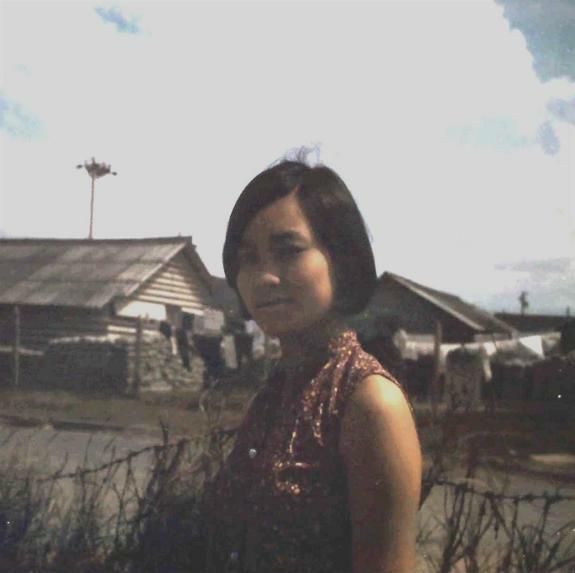 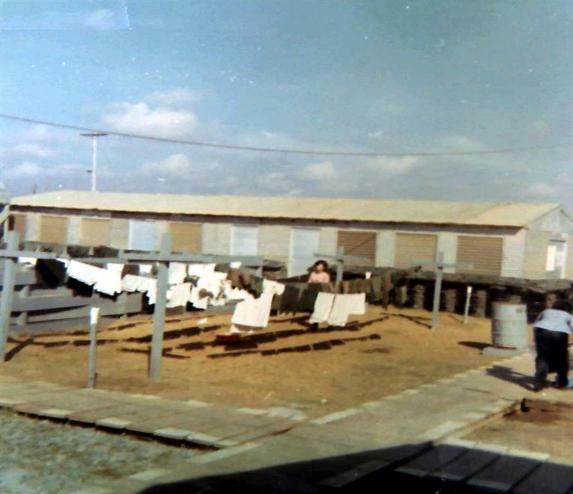 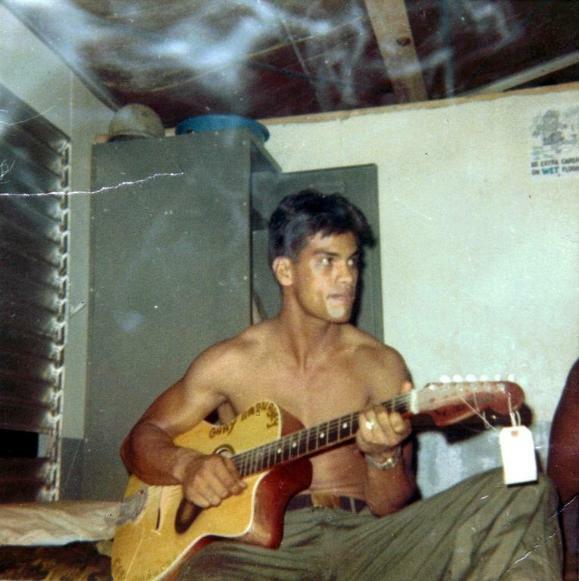 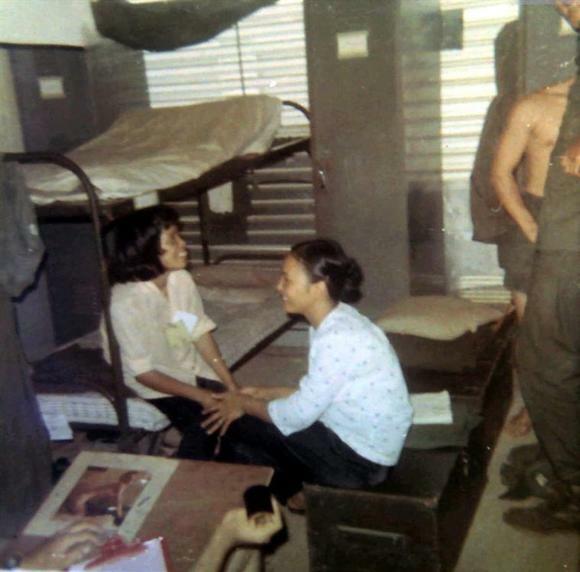 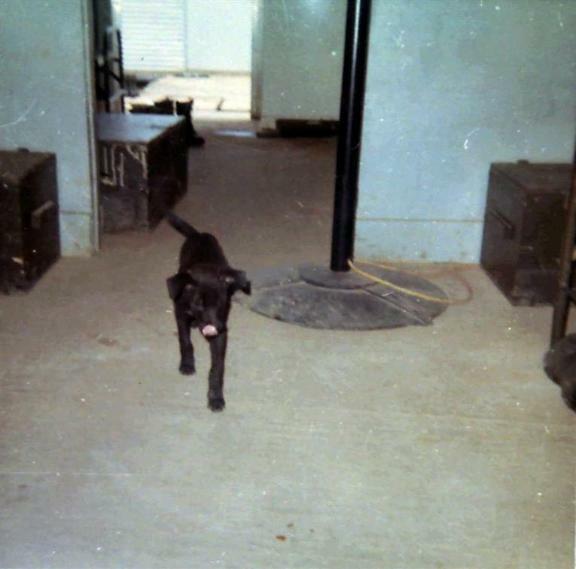 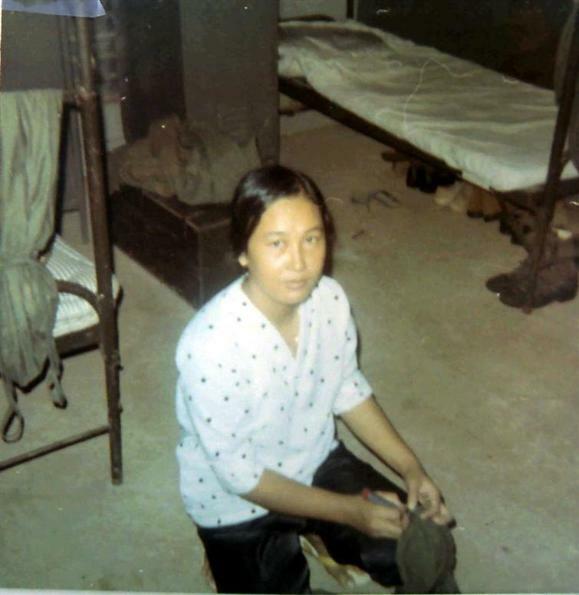 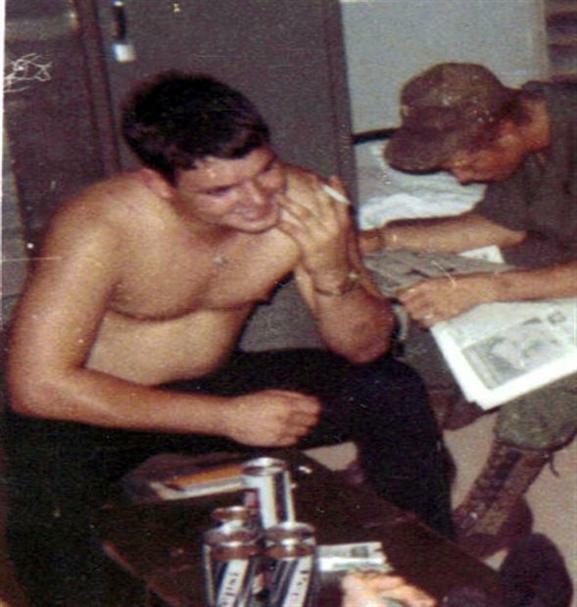 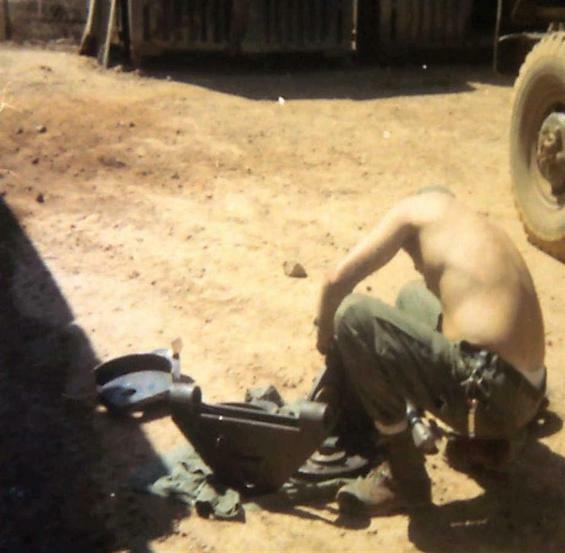 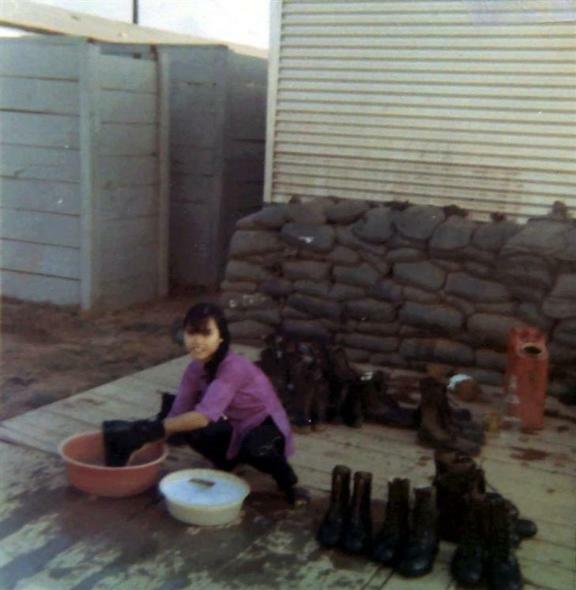 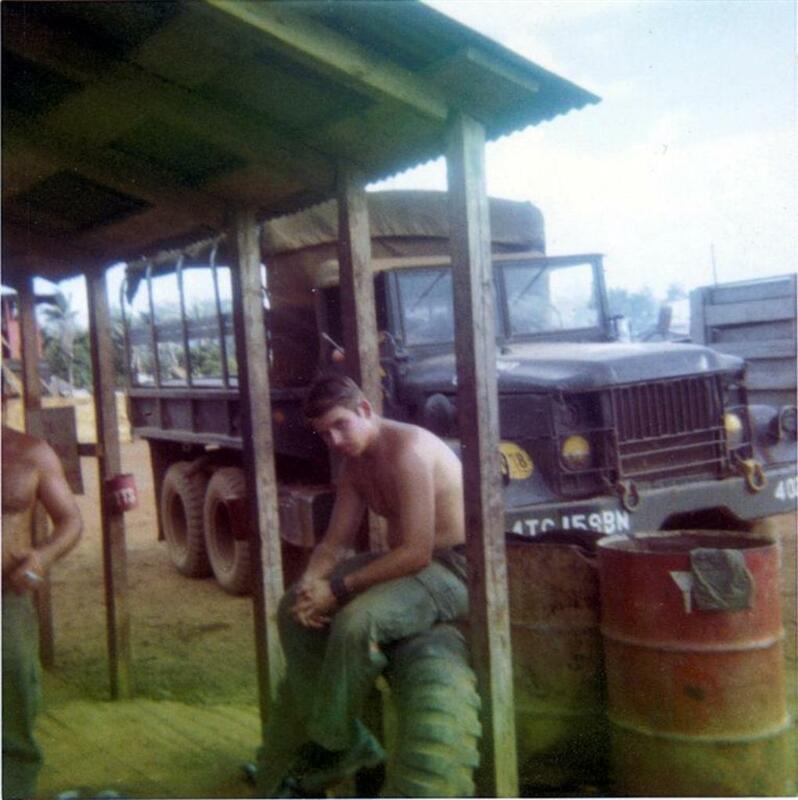 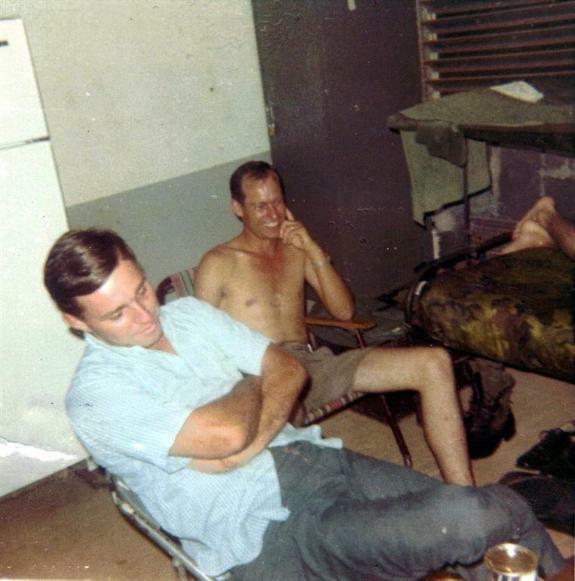 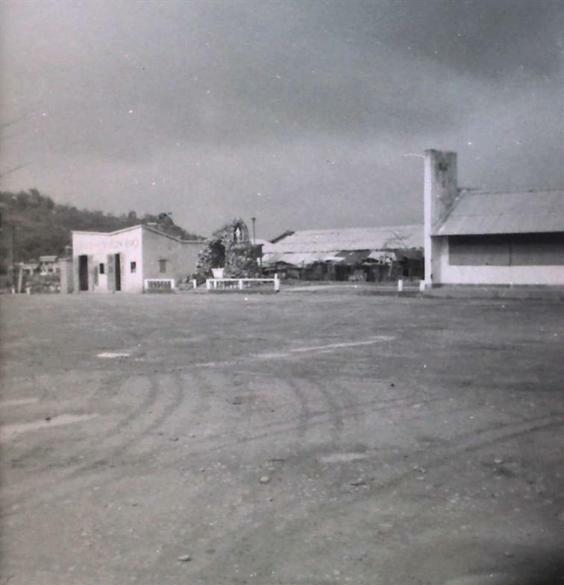 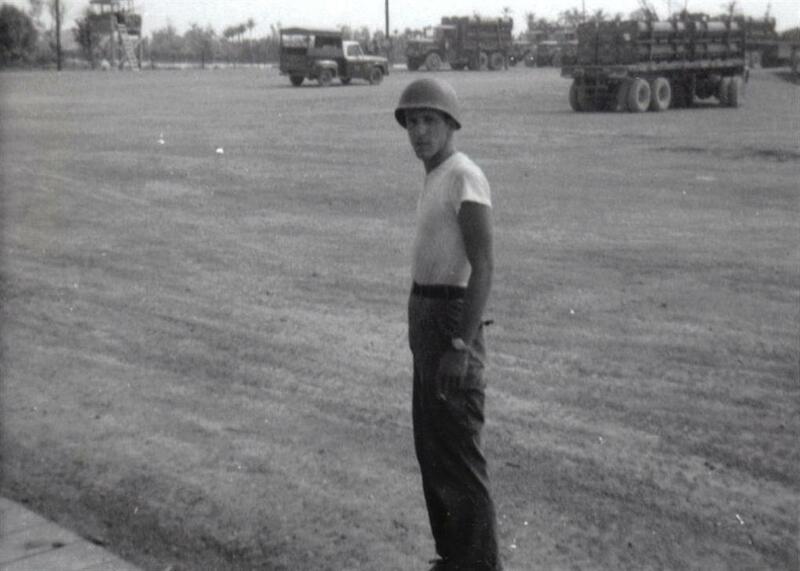 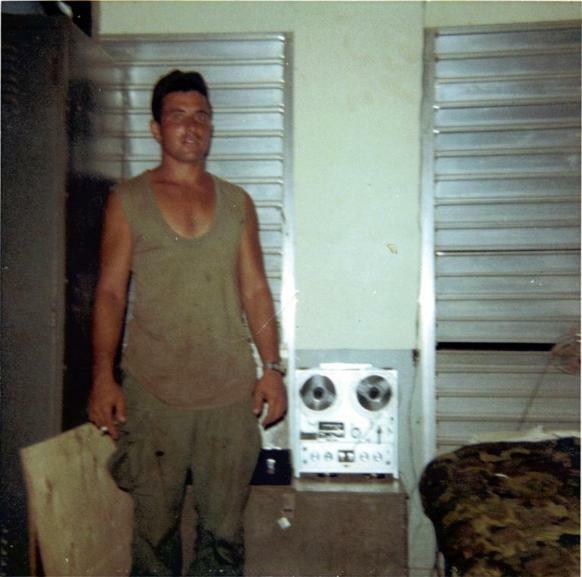 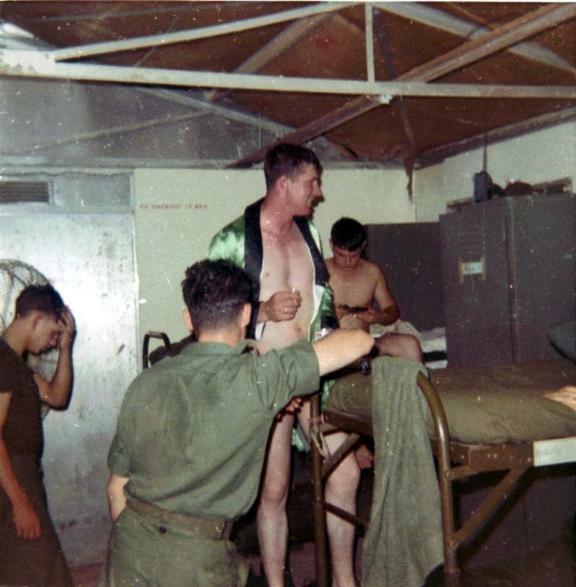 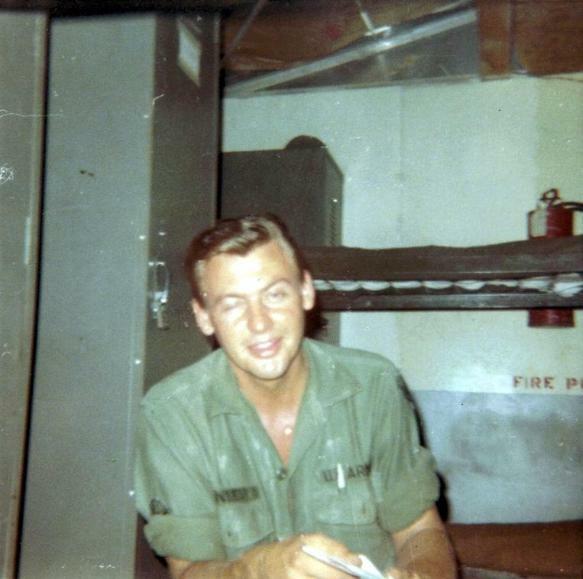 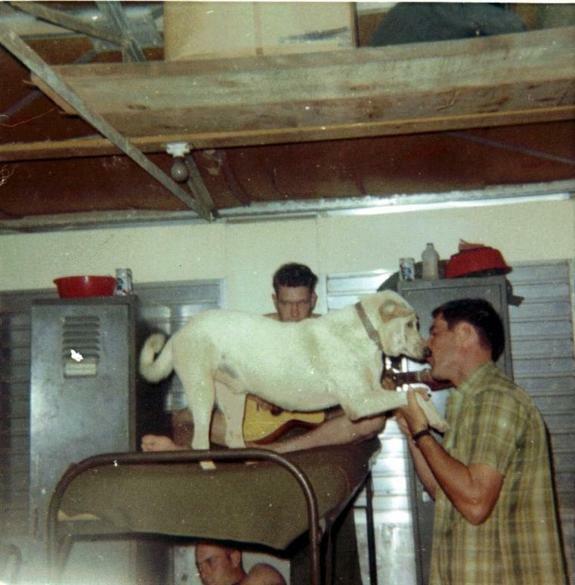 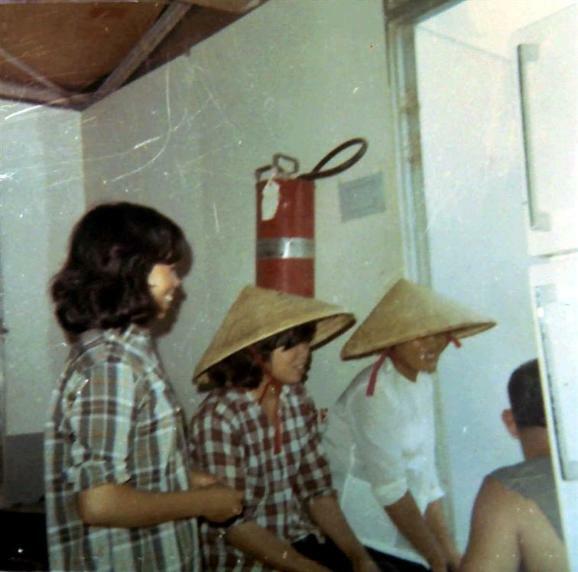 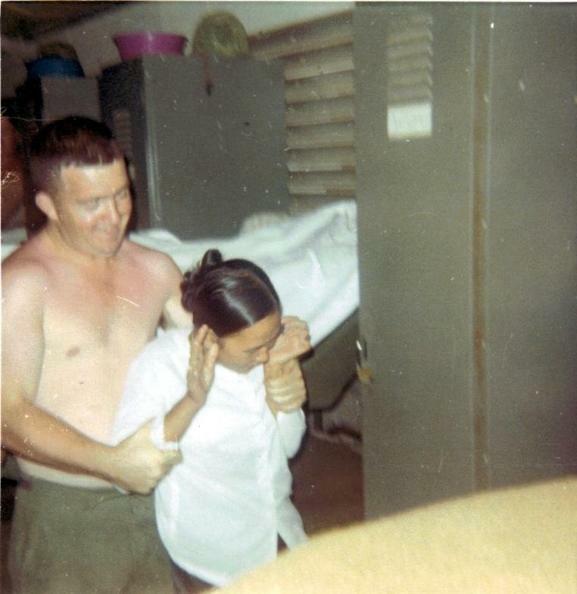 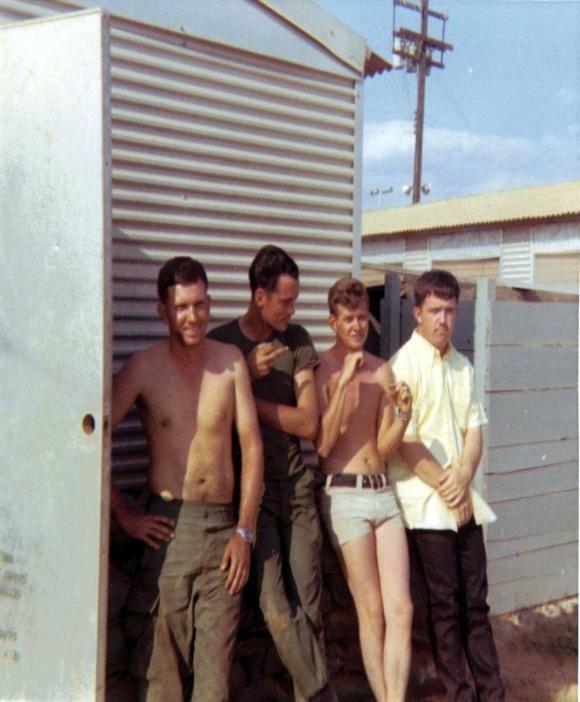 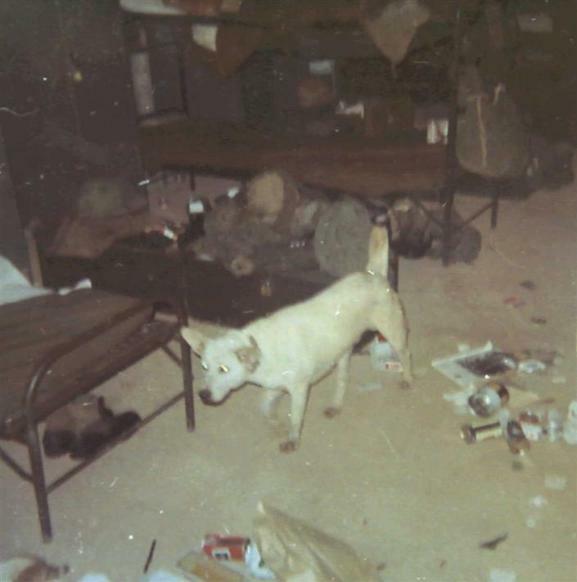 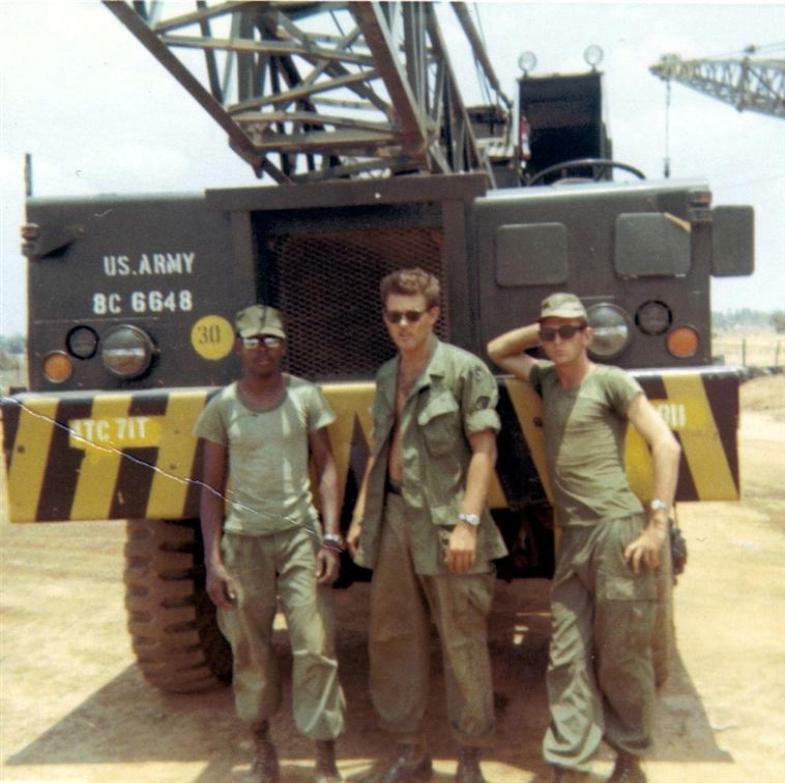 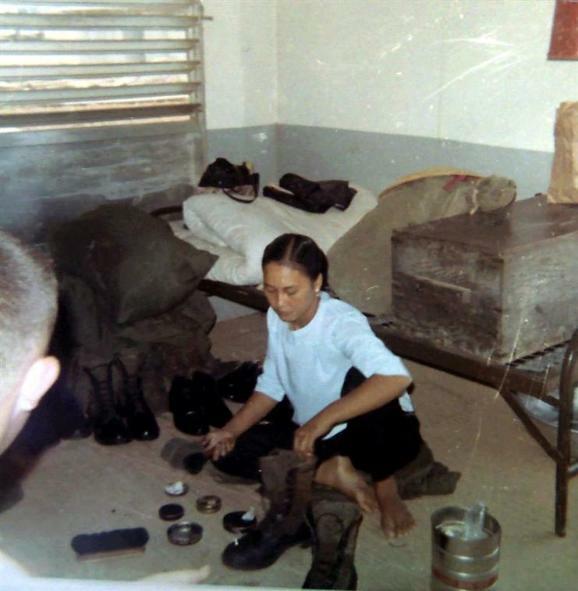 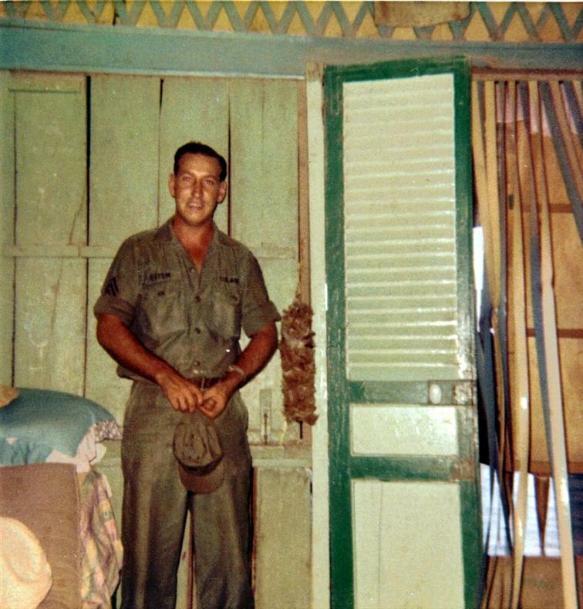 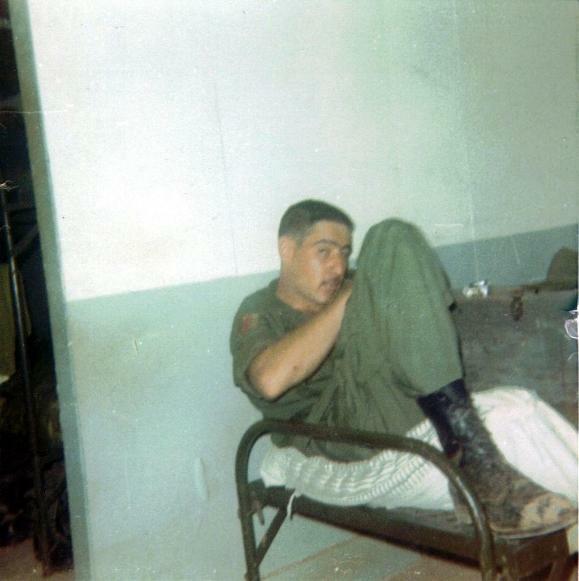 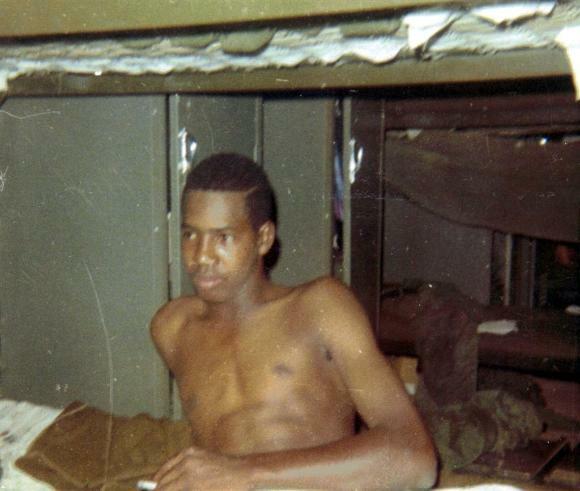 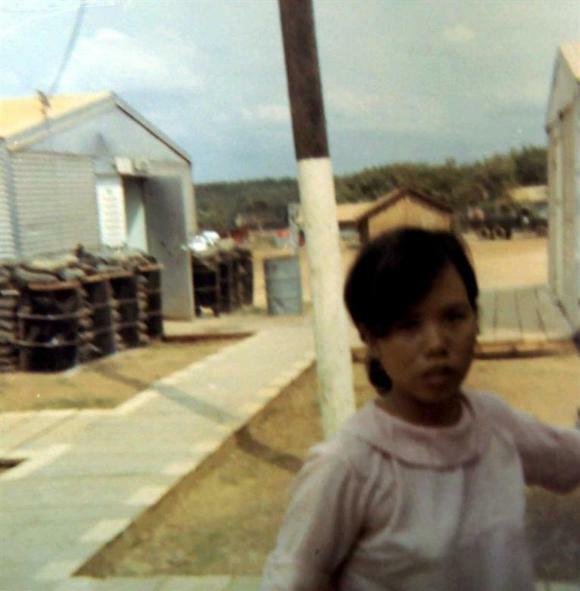 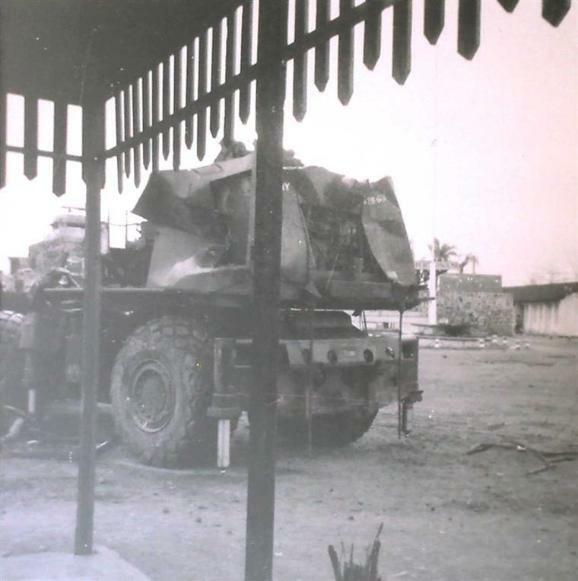 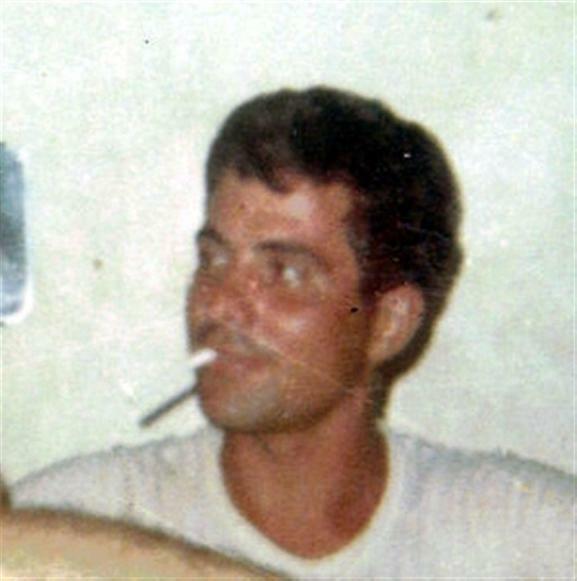 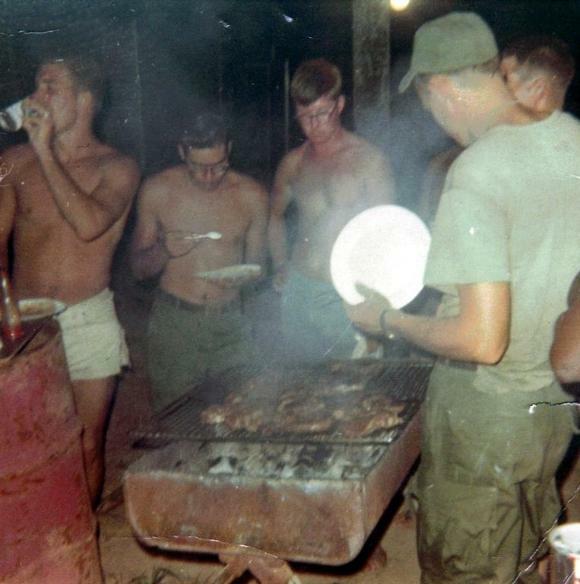 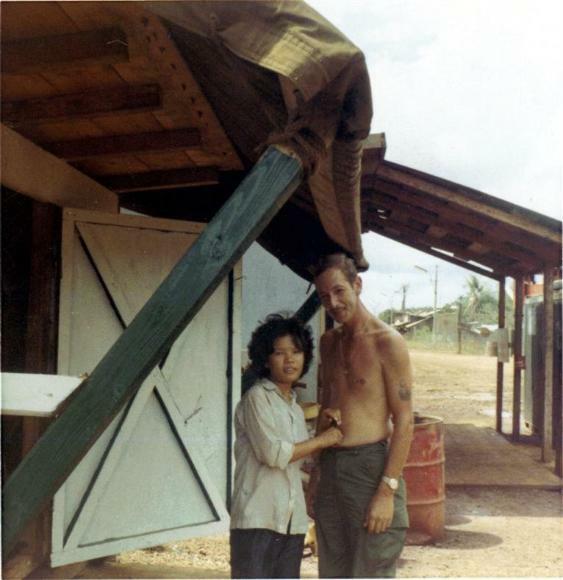 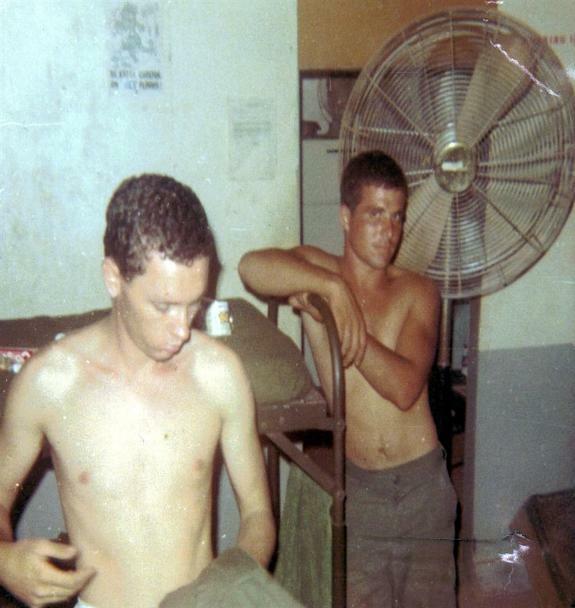 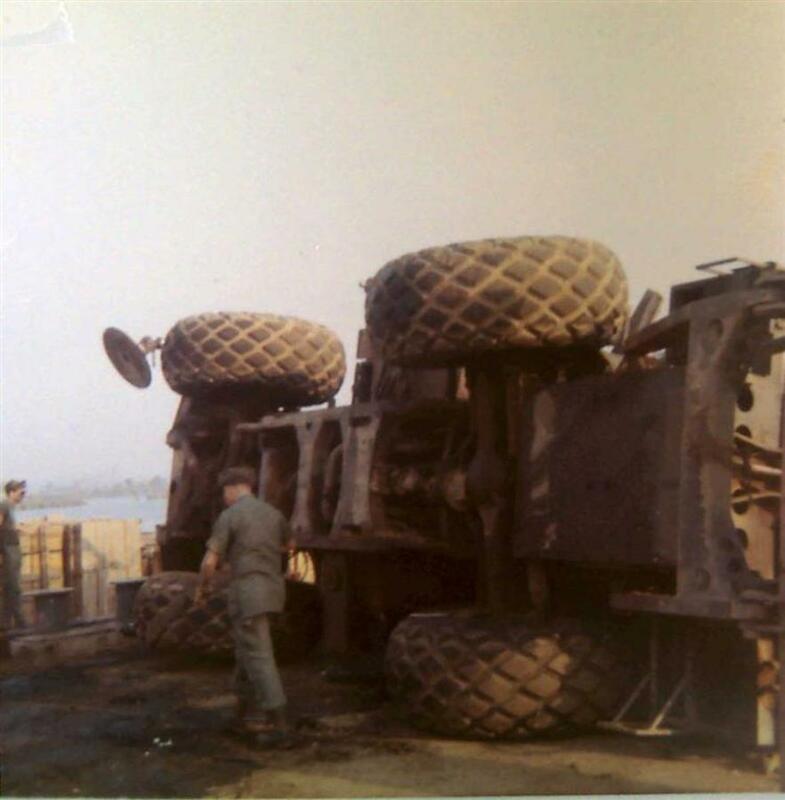 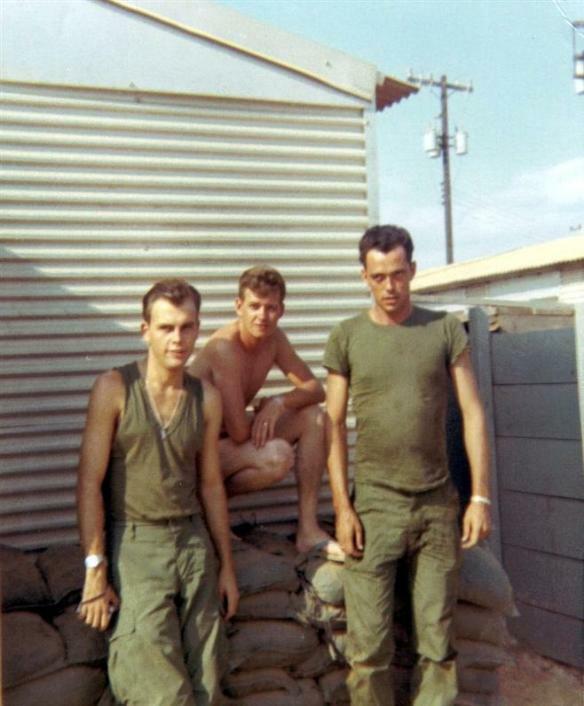 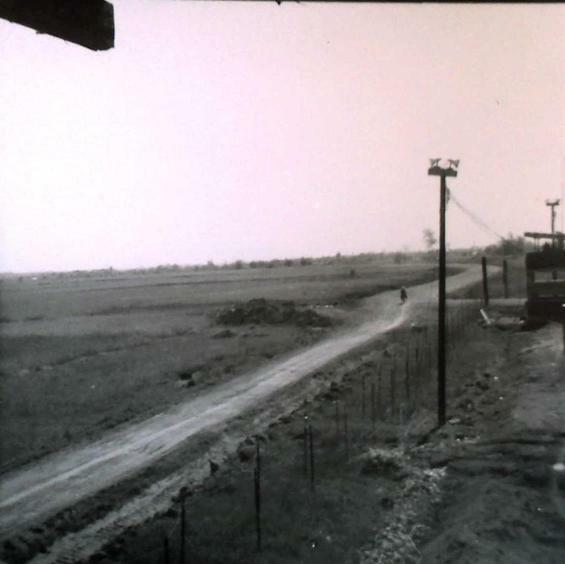 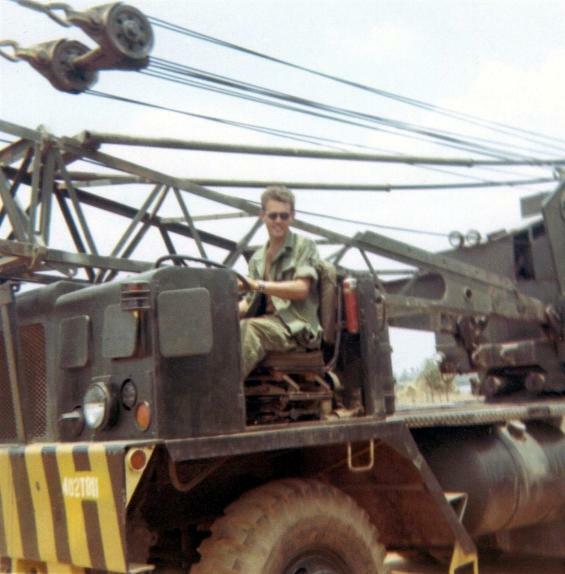 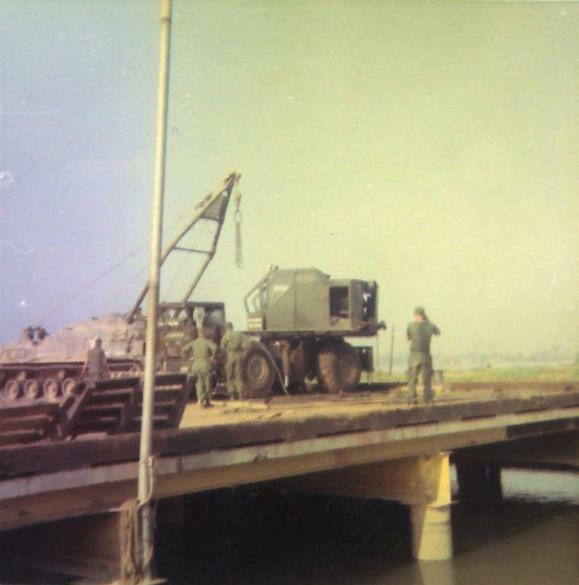 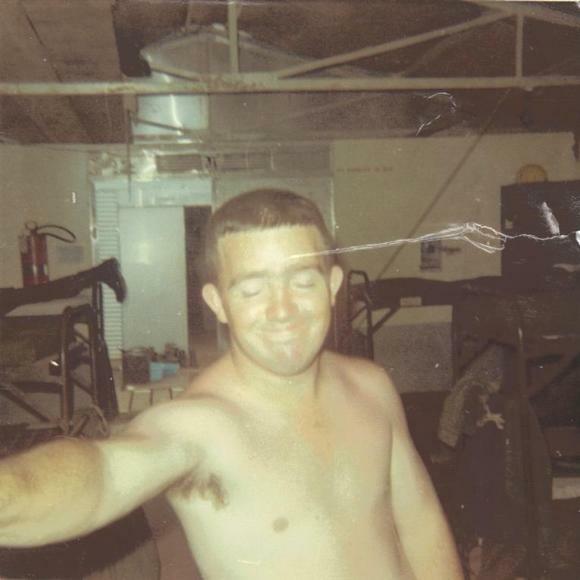 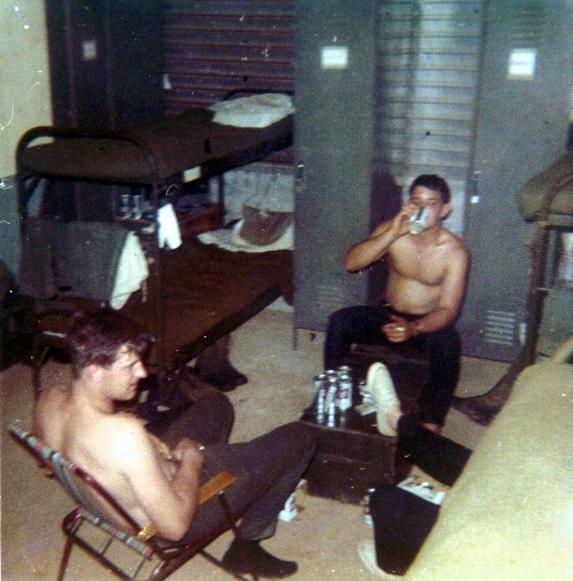 while Ron became the truck mechanic at the 402nd Company area motor pool at Camp Camelot, Long Binh Post. 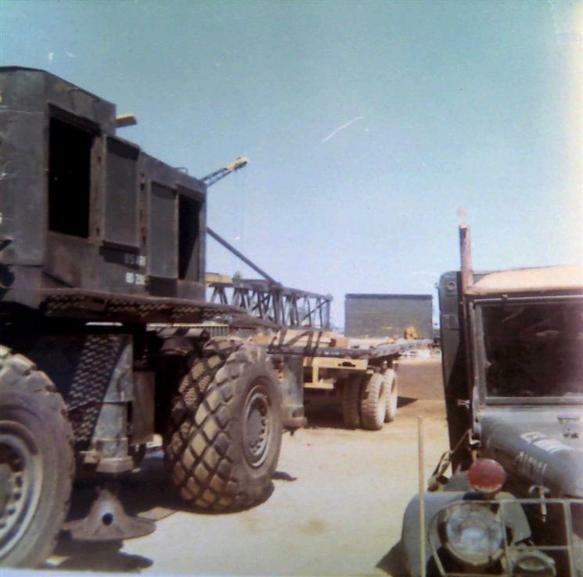 500 pound bombs. 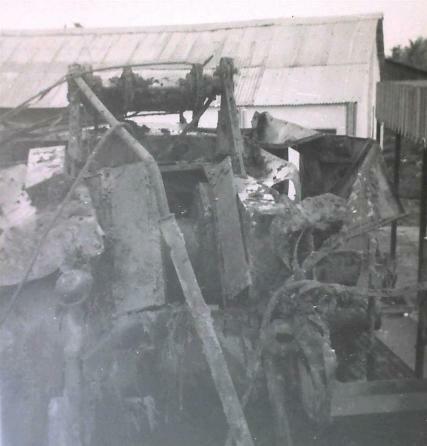 We also off-loaded 250, 500, and 750 pound napalm bombs and, of course, lots of small arms ammo. 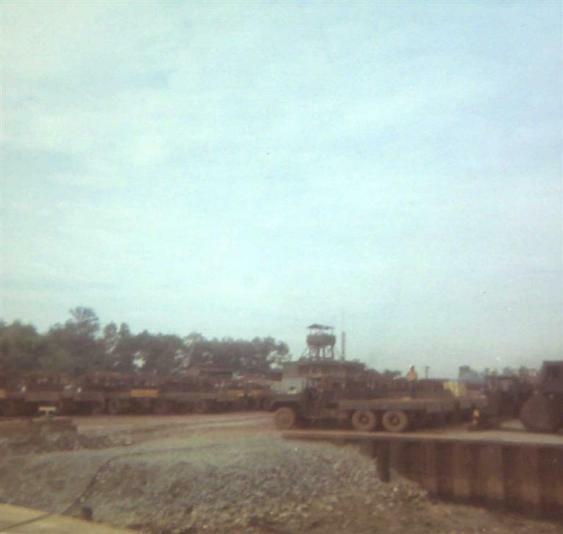 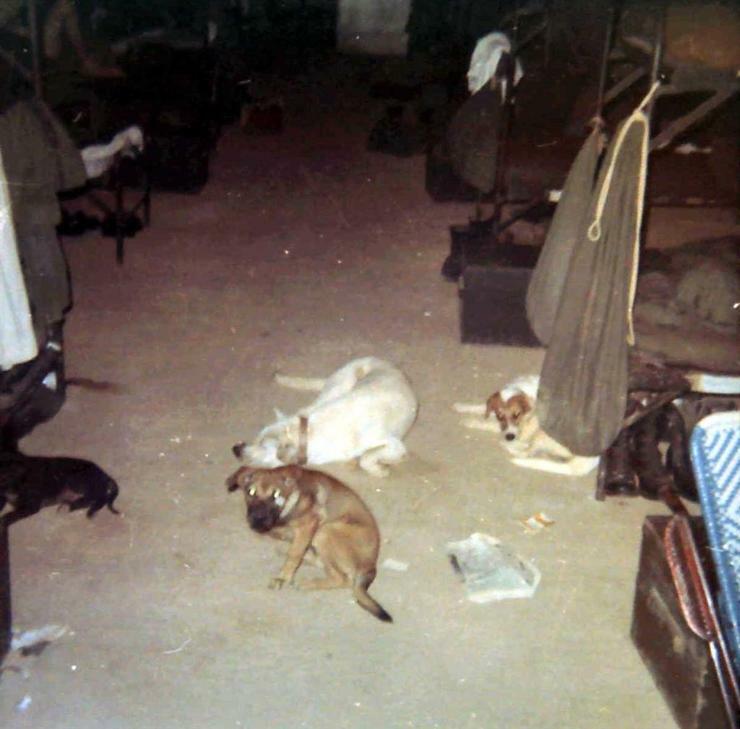 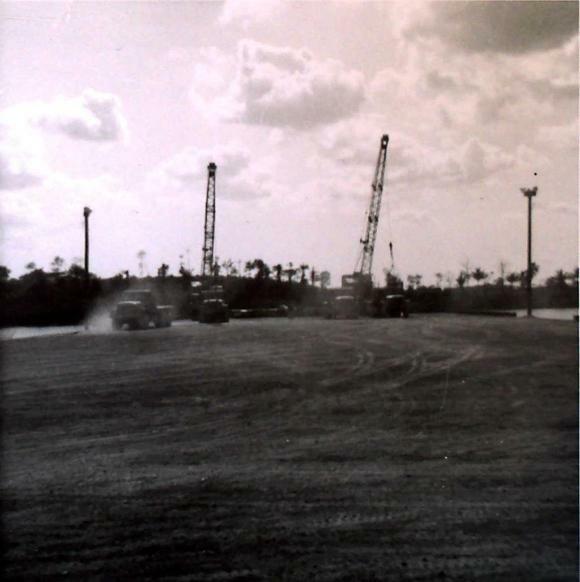 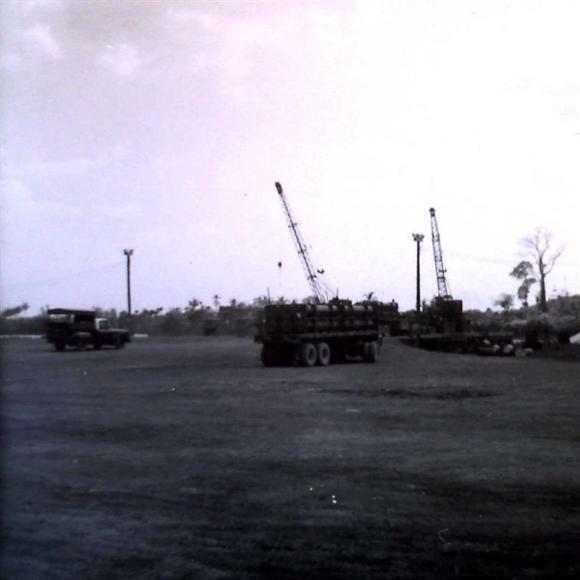 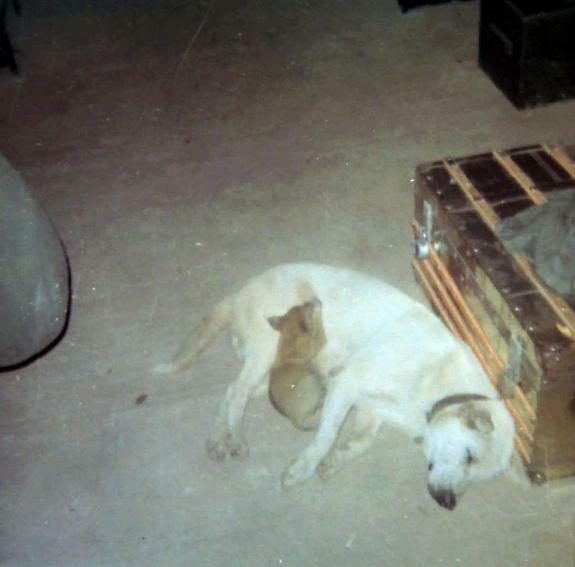 These were transported by truck to the air base ammo dump. 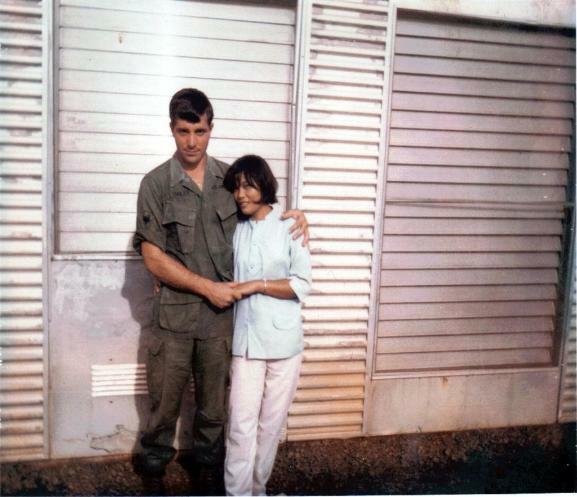 receive another 30-day free leave to go home and marry the woman I met on a blind date on the previous leave. 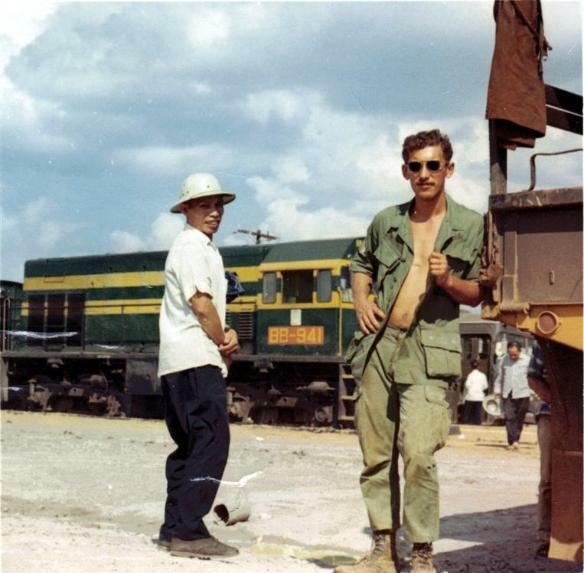 Is this the Ho Nai Rail Head? 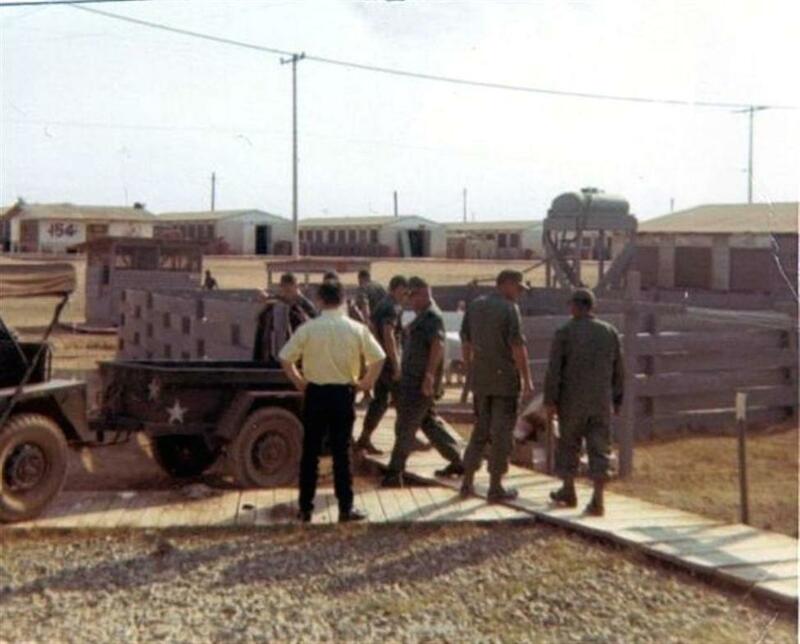 responsibility also included the perimeter generators as well as the 5kw and 10kw portable generators. 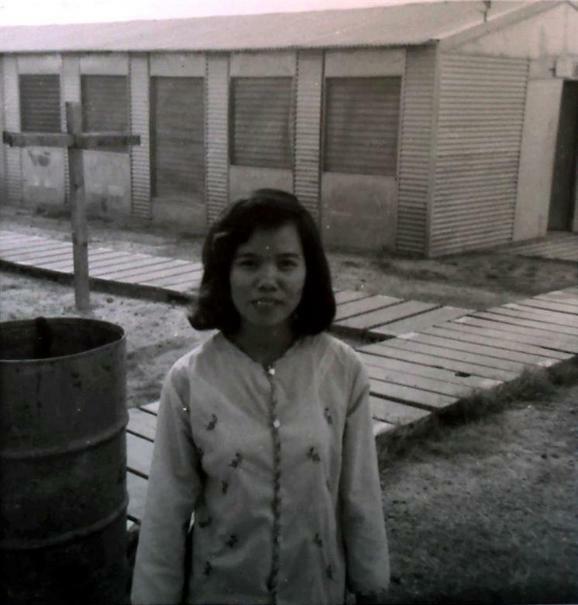 would pick me up at the airport and we'd fly back together. 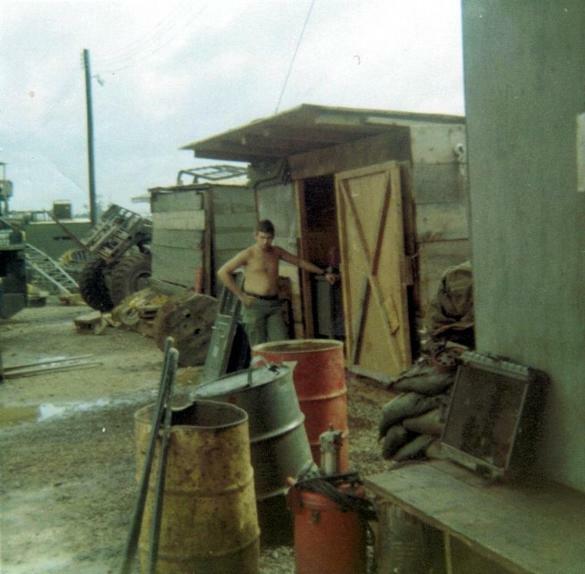 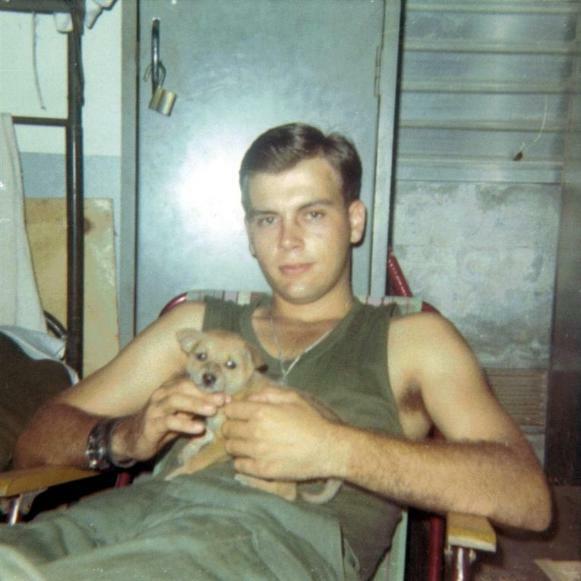 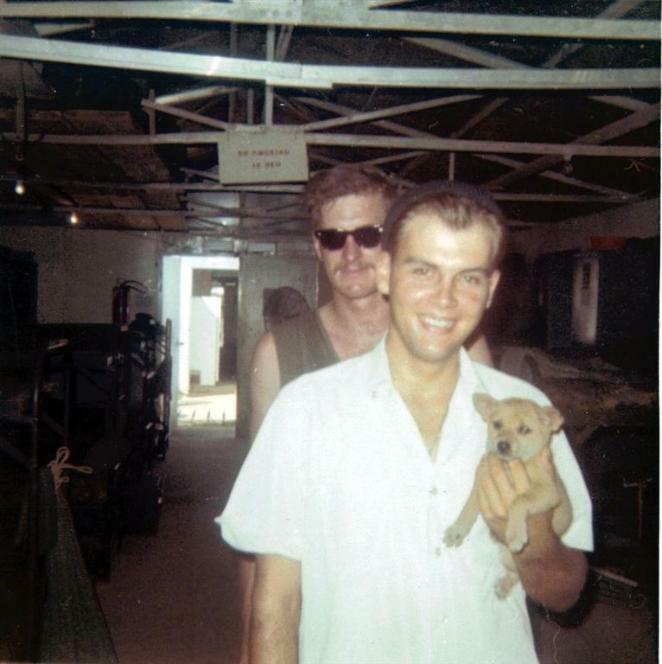 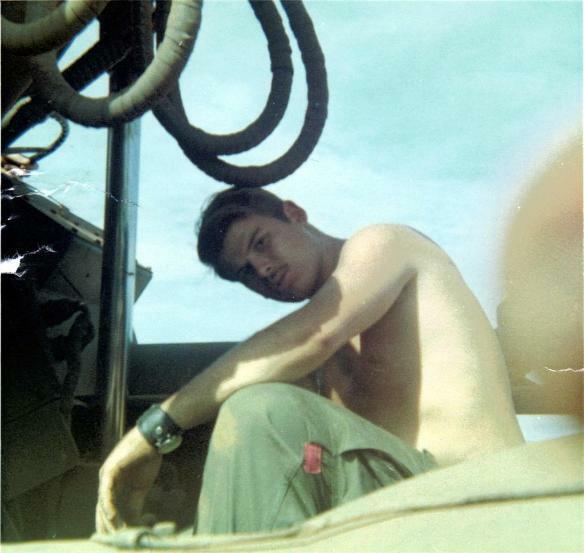 My service in Vietnam was a total of 27 months. 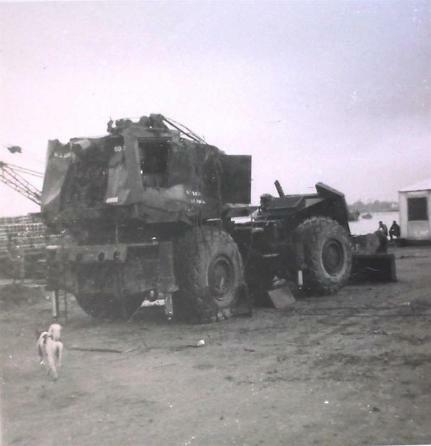 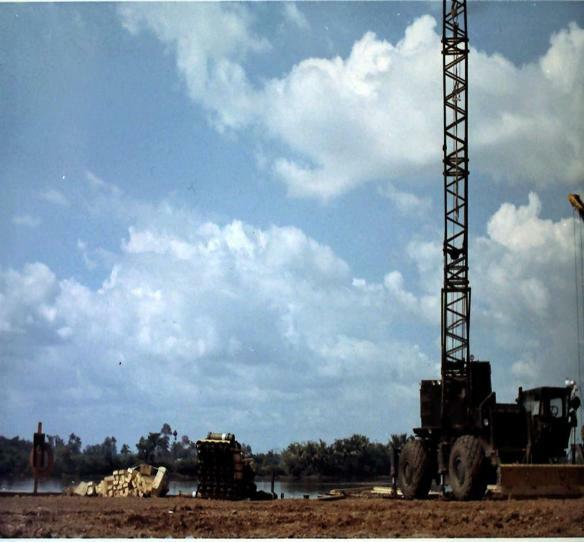 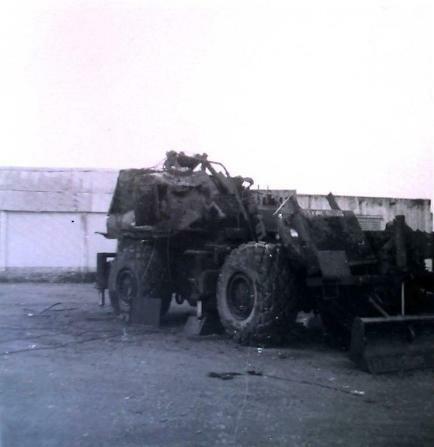 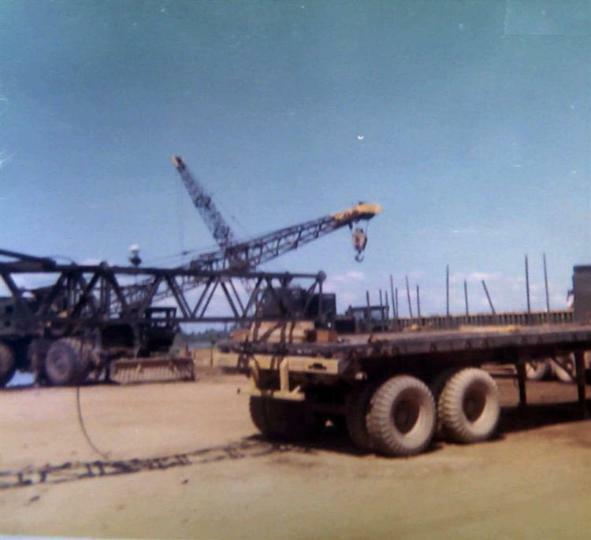 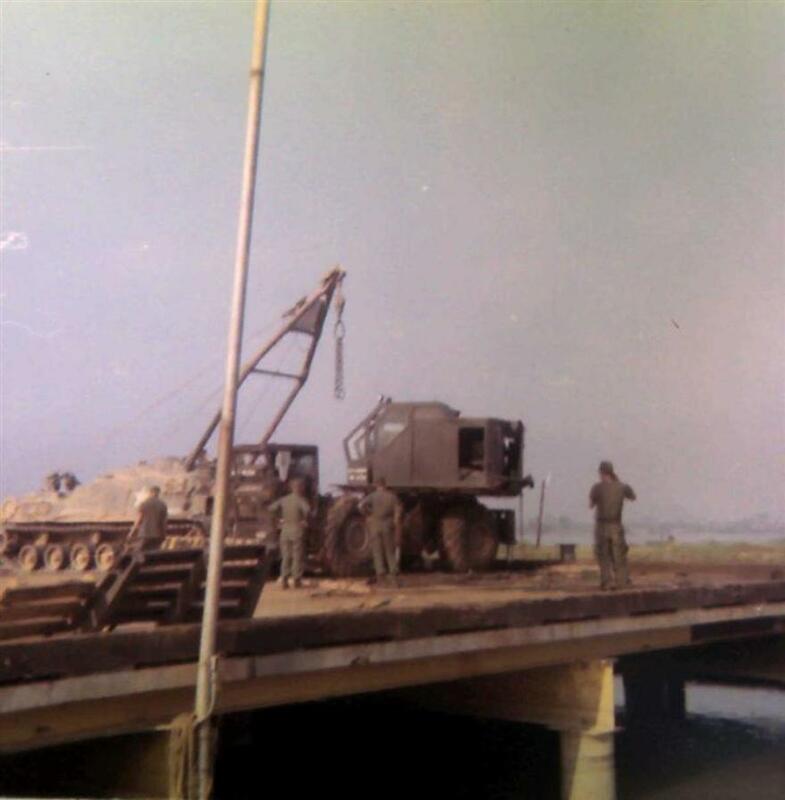 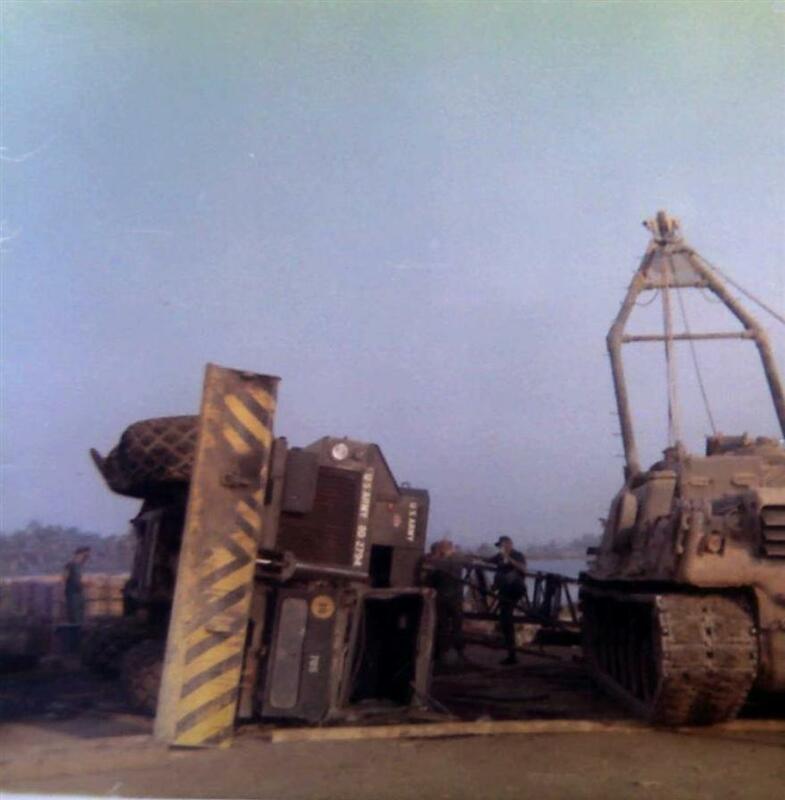 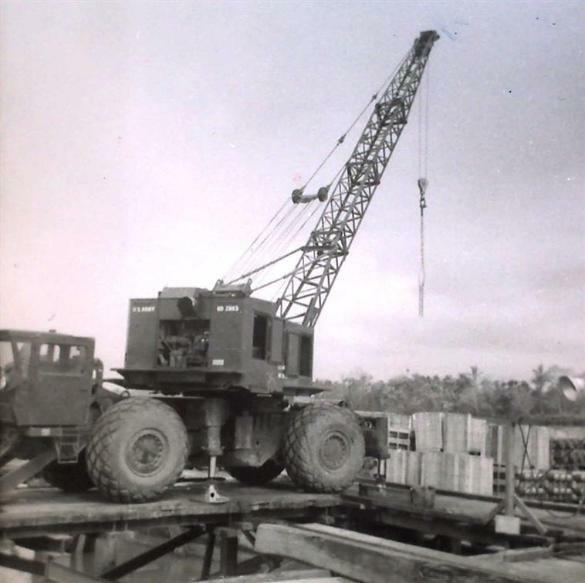 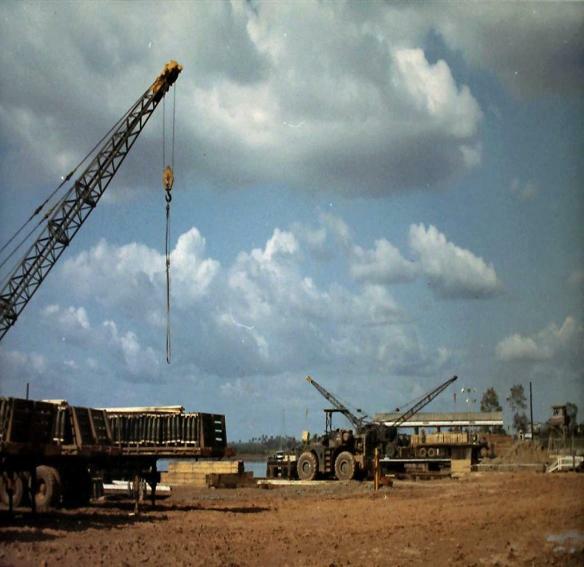 An M88 tank recovery vehicle was needed to upright this crane. 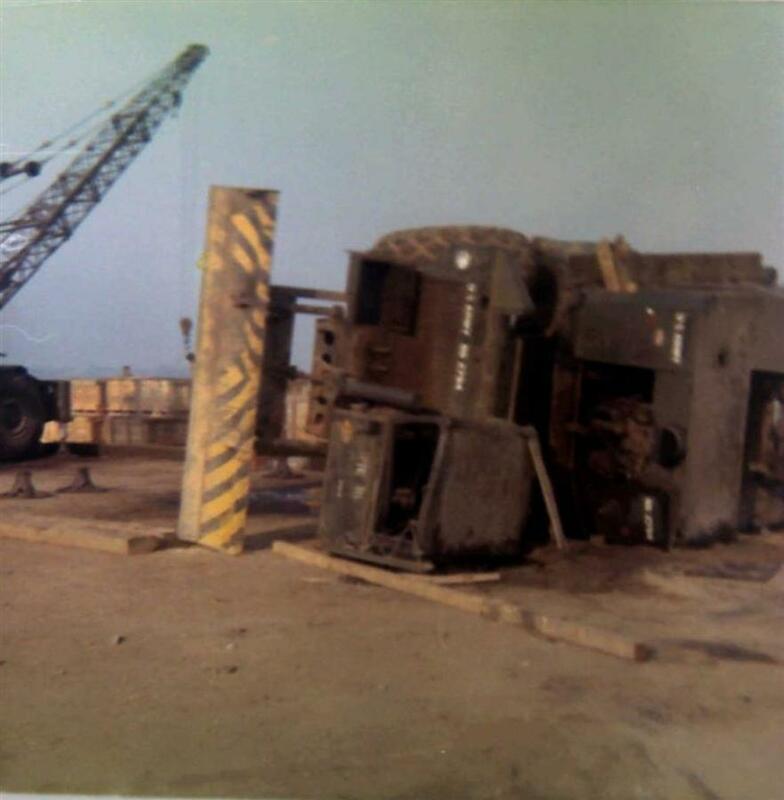 This crane went in the river. 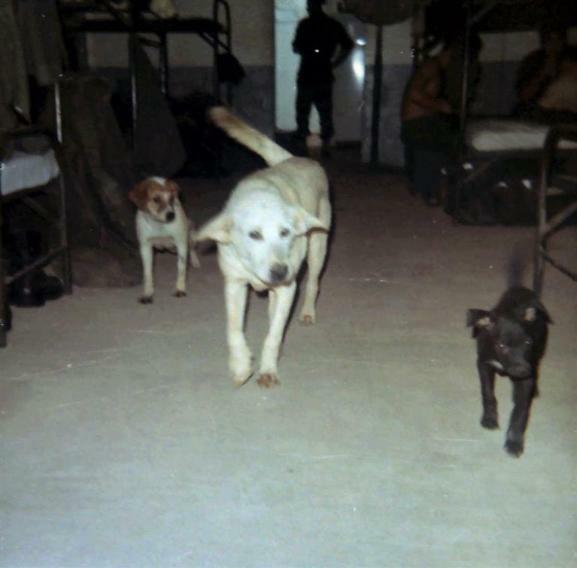 Shellie Jones - Wes Bicehouse - Eddie Ward - And ? 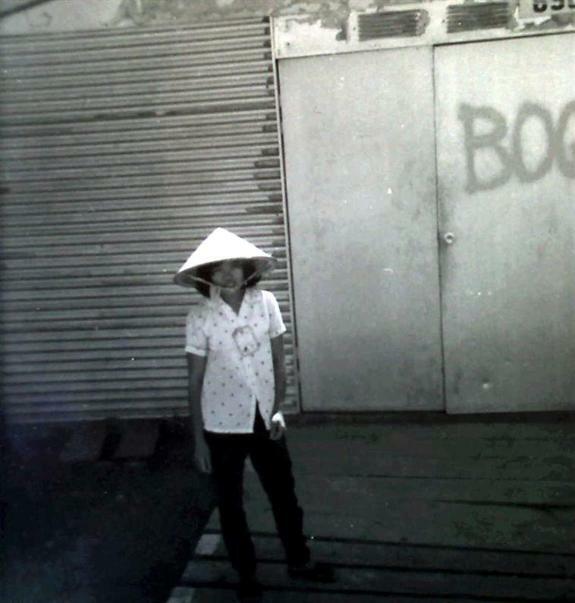 Thank you for looking at my photos. 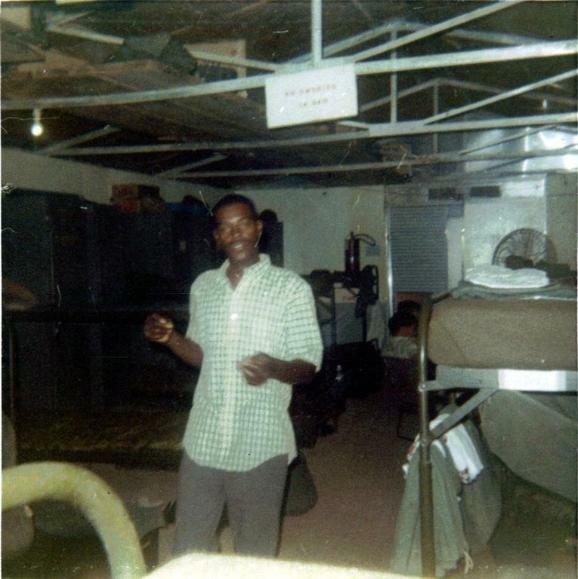 If you have any questions or comments, please feel free to email me.